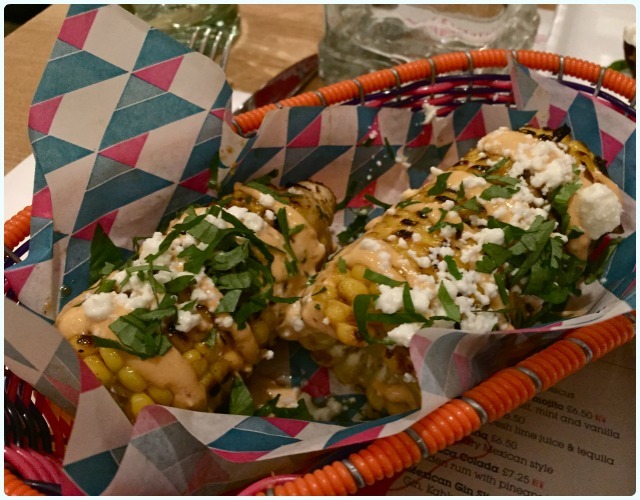 The Corn Exchange in Manchester has long needed a revival, and the new restaurants and bars are perfect for bringing life back to this beautiful and very central point. 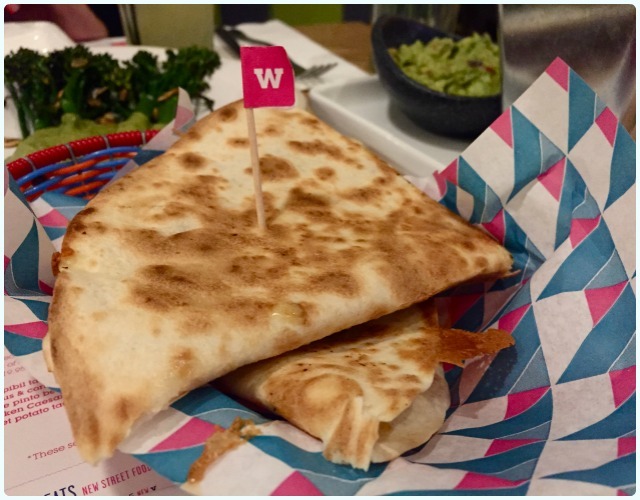 The Wahaca site in Manchester is just as cool and relaxed as those I have visited in London; we sat downstairs but there is also a large upstairs dining area too. May I also point out that a visit to the ladies is a must (not if you're a gent obvs, although I suspect they are nice too). I don't think I have ever exclaimed at facilities before! Last year Rachel, my sister and I spent a fun few days in London, eating and Harry Pottering. 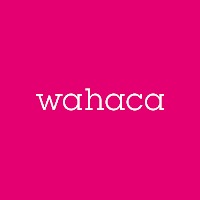 We visited various restaurants but the one that really stayed with me was Wahaca. 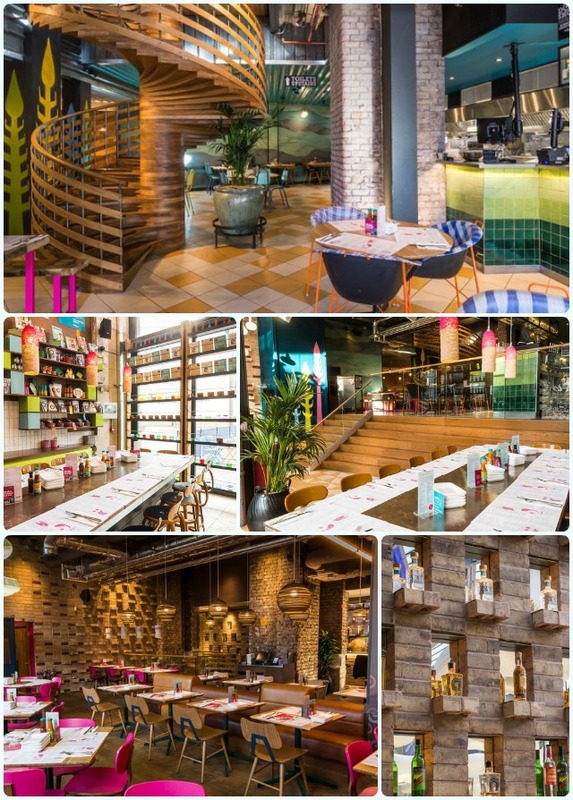 We visited the Soho branch which I loved so much I took another friend to the South Bank branch the following month. So imagine my excitement when we heard that there was to be a Manchester venue, and that we were invited for dinner on the day that I returned from a heavenly week in Egypt when I would surely need cheering up! We arrived to be greeted by a very cheerful waitress (name not noted, apologies, but she was fantastic) and her equally friendly trainee. 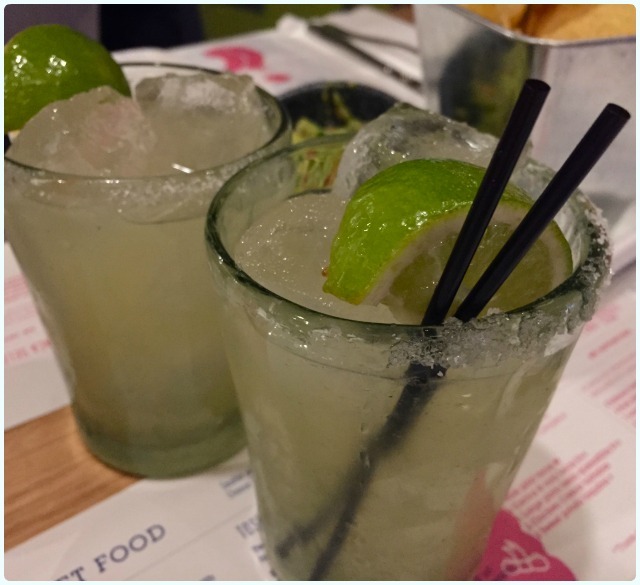 We started to look through the menu, assisted by a very yummy Margarita cocktail. We were undecided and overexcited so we deferred our choices to said waitress, she did not let us down. After expressing our general dislike of fish and my love of veggie options she served us up a treat. 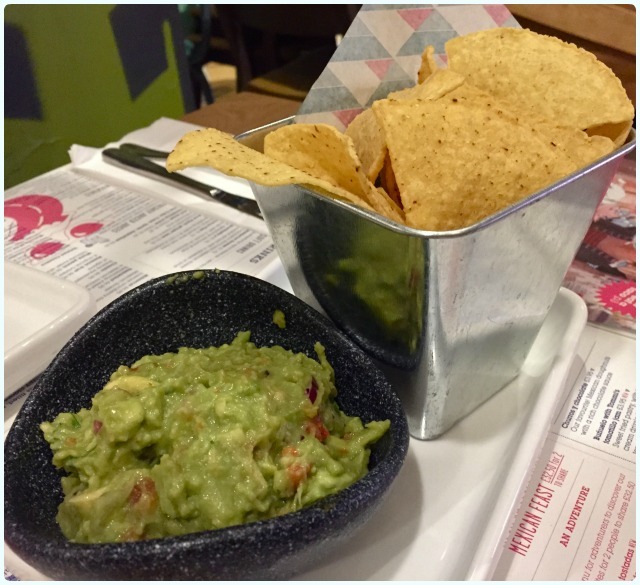 Tortilla chips with guacamole - freshly made every day with Hass avocados and freshly squeezed lime juice: We started with the freshly made guacamole with tortilla chips, light and tasty this was perfect to get us in the mood. 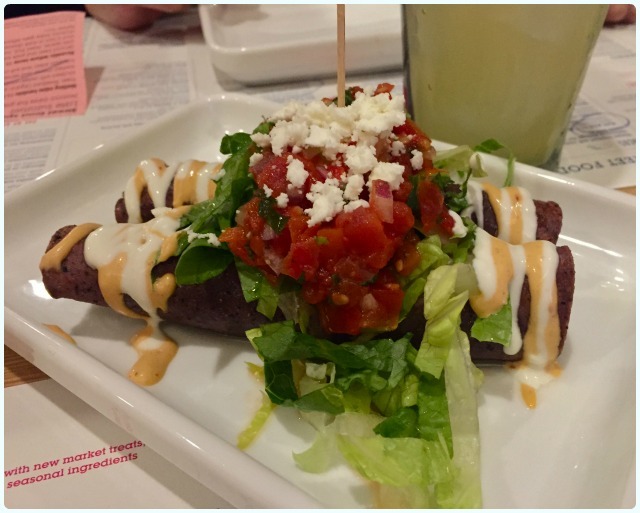 Sweet potato and feta taquitos wrapped in blue corn - Roasted sweet potato, feta and caramelised red onion with crema, salsa fresca and chipotle mayo: These were my favourite and I genuinely could eat them everyday (good job I don't work near the Corn Exchange really). 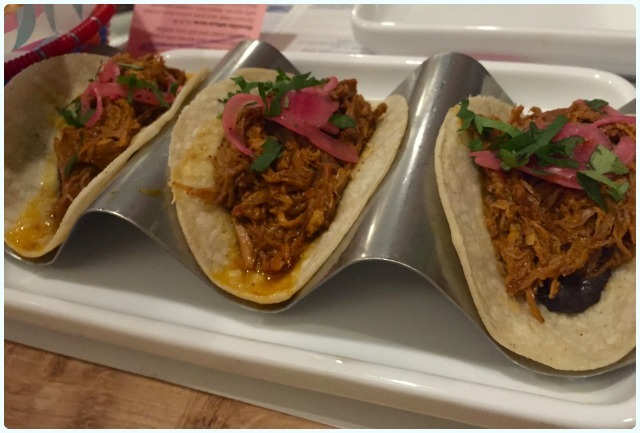 Pork pibil tacos - Slow cooked pork in special Yucatecan marinade with fiery pickled onions: The slow cooked pork was gorgeous and I am not a fan of pork at all. 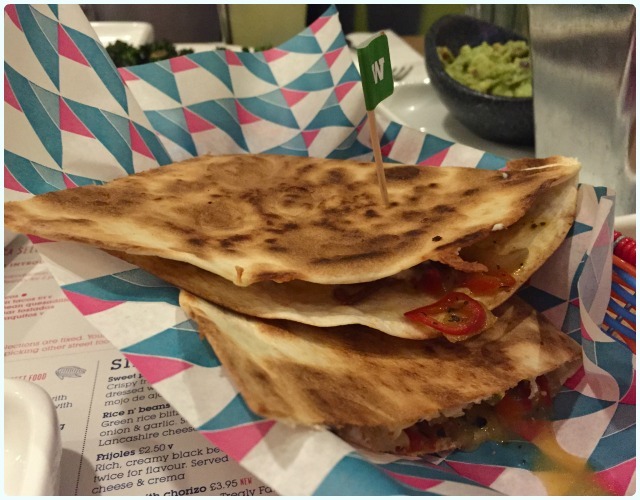 Quesadillas; super tasty with just enough of a spicy kick. 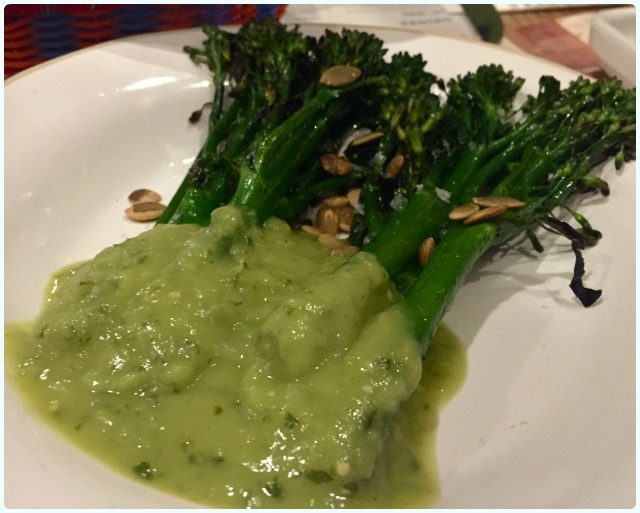 To ensure we got our five a day we also had brocolli cooked to perfection and sprinkled with yummy pumpkin seeds; and grilled corn with lime, feta and chipotle mayo. We made a good effort but have to admit that we took a box of leftovers home to my very hungry and happy other half. 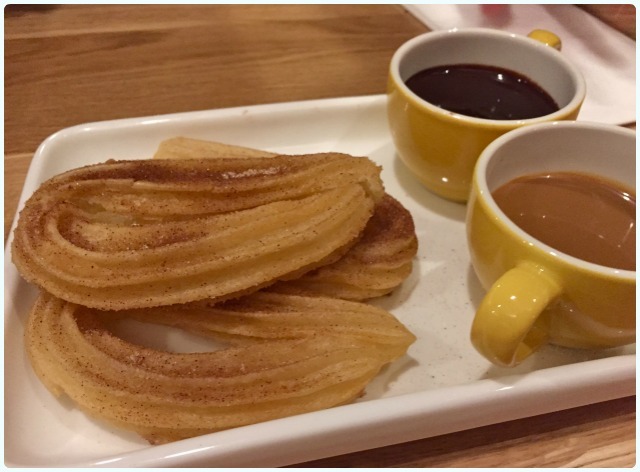 We finished the meal with delicious hot and crispy churros served with both chocolate and caramel sauce. 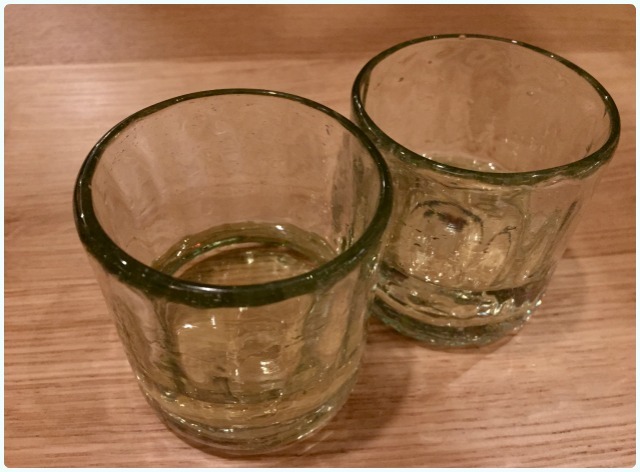 Of course we washed these down with a couple of tequilas, we love a good tequila but are still very much in the learning stage of our relationship with it so apologies if this isn't the correct way to identify them but we had an Calle Anejo, and a Herradura Resposado; delicious and eye watering, just how we like our tequila. 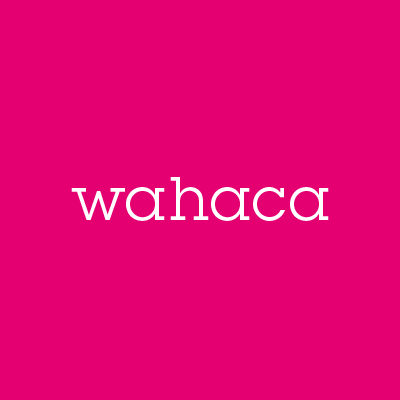 A gorgeous evening of amazing food, perfect service and a surprise stop and chat from Thomasina herself... we'll see you again very soon Wahaca.